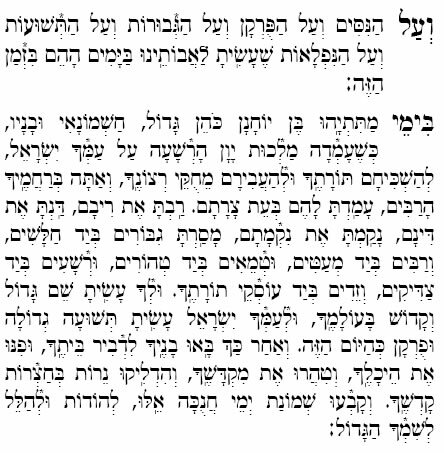 is anyone able to share as to the origin of the text of Vál Hanisim and exactly when it was compiled and by whom. Thank you for this amazing page! Chanukah or Hanukah I get very confused and am trying to understand the difference between Chanukah and Hanukah... HELP!!! !